The DS-41R connects 4 DVI source devices to 1 DVI display. 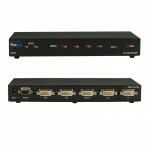 It offers effective and reliable solution that eliminates the need to purchase several DVI displays. The DS-21R connects 2 DVI source devices to 1 DVI display. 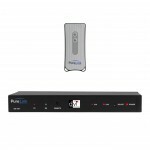 It offers unparalleled flexibility and supports up to 1080p.